Immerse in the tales of these three ancient Empires, Thailand, Cambodia, and China on this unforgettable Asia adventure. Visit famous reclining Buddha at Wat Pho in Bangkok; Tour UNESCO Ayuthaya, the ancient capital with its impressive archaeological treasures and Sukhothai, first capital of the Siam Kingdom; Meet face to face with Long Neck of Salong tribes, and other colourful cultures in Chiang Mai; Enjoy the unique luxury experience and great view in 5 Star Mountain Spa Resort; See elephants bathing in Elephant Camp; and Stand in awe of the architectural achievement of Angkor Wat of Khmer Empire. Finally relax in the crossroad of modern and old on the night cruise on Shanghai Huangpu River. Touch down in Bangkok, Thailand’s capital city. Upon arrival, you will be greeted and transferred to your hotel. 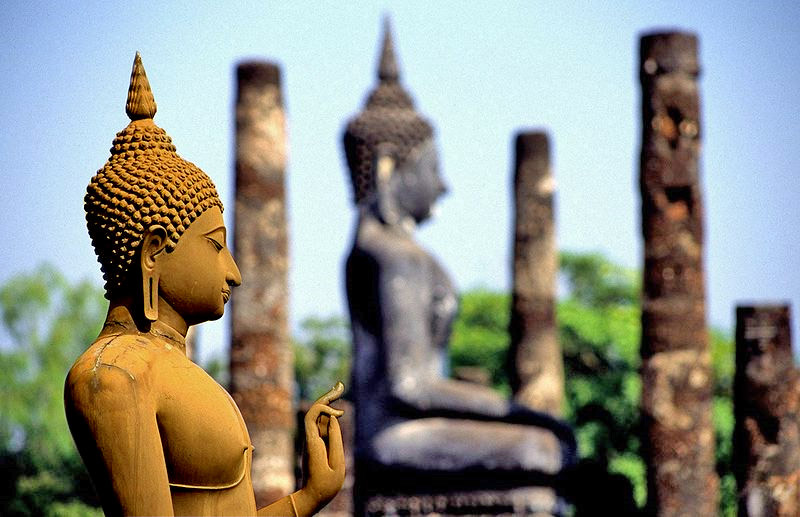 Bangkok radiates modernity with a deep root in Buddhist tradition. 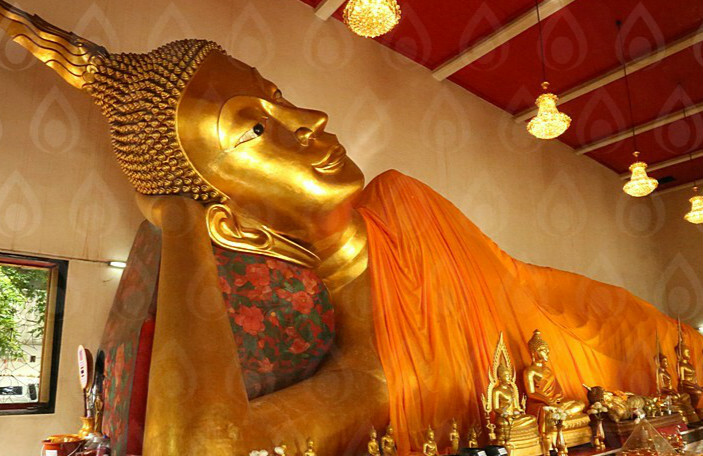 Explore the city starting with the Reclining Buddha, a signature sight representing Buddhism. Take a stroll by China town, and visit the largest local wholesale ower market at Paklong Talat. In the afternoon, take a boat ride along the Chao Phaya River and Canals by a local speed boat. Visit Wat Arun, the Temple of Dawn, one of Thailand’s best known landmarks built in the 17th century by King Taksin. Spend your evening at your own leisure, or enjoy an optional Thai dinner (£45) while watching classical dance at the Silom Village Restaurant. 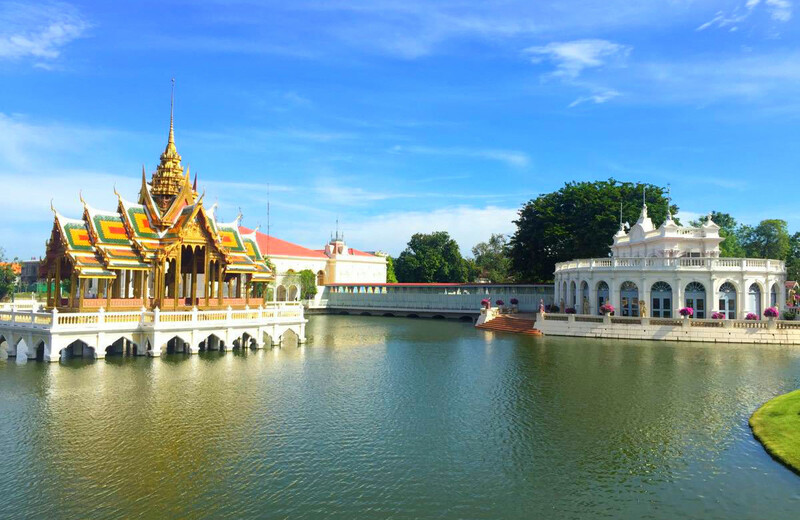 Enjoy the free day at your own leisure or join our Bangkok Palace & Floating Market Tour (£85). 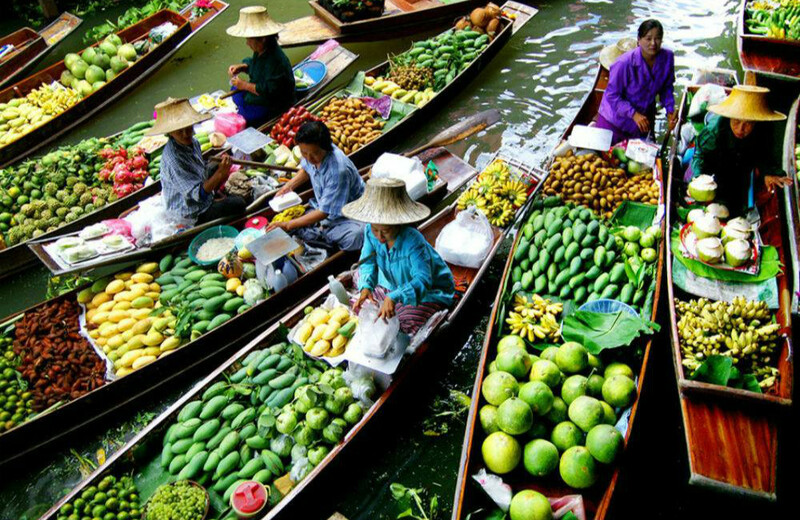 This interesting optional tour will take you to the rural yet world-famous floating market of Damnernsaduak. Nowadays, the market is bustling with activity from very early in the morning until about 11.00 am. For those who want to buy some memorabilia here, do not forget to bargain! 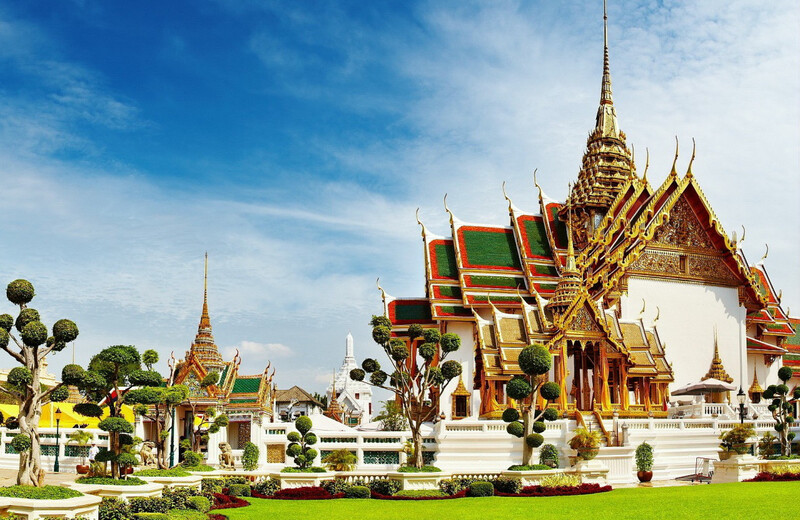 During this optional tour we will also visit the Grand Palace and the Emerald Buddha Temple, regarded as the most sacred Buddhist temple in Thailand, the emerald Buddha housed in the temple is a potent religio-political symbol and the palladium of Thai society. Lunch will be served at local Thai Restaurant. In the evening, you may watch an optional Siam Niramit Light & Sound Show (£60), a world class showcase of Thai culture with incredible visual effects, followed by a classic Thai dinner. After breakfast, be transferred to the historic city of Ayutthaya, the second Siamese capital after Sukhothai for over 400 years, once the largest city in Southeast Asia. Start the city tour by visiting the Ayutthaya Historical Park in the city centre, a designated UNESCO World Heritage Site. 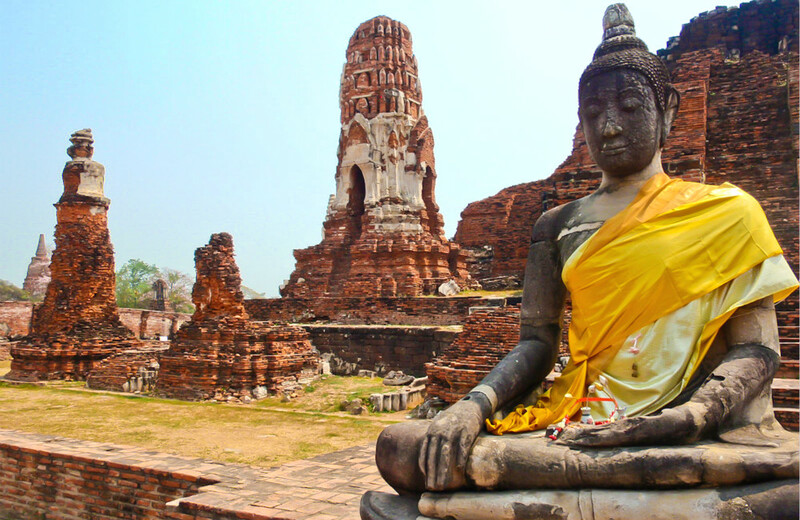 The remains, characterized by the reliquary towers and gigantic monasteries, give an idea of its glorious past, envision the grandeur and splendor that once was the Kingdom of Ayutthaya as you walk through the ancient town. After lunch, con- tinue to the Chai Wattanaram Temple, built by King Prasat Thong, a commoner who overthrew the previous king and took his throne. Here, you can enjoy the peaceful and tranquil surroundings of Siam before dinner. Start your morning with visit to a local school on the way to Sukhothai, birthplace of the Thai nation. Sukhothai is world famous its over 100 historical sites and treasures, including some of the most beautiful Thai art and architecture in the country. Visit to the Old Town of Sukhothai with its impressive Historical Park, immaculately restored and set among leafy hills and peaceful lotus ponds, designated a UNESCO World Heritage Site. At this astonishing site, most of the remains of the original city can be seen. Marvel at the ancient Buddha gures, palaces, temples and historical monuments and feel yourself drift back in time to a bygone era. After breakfast, check out and be transferred to Chiang Rai. Our onwards trip takes us now via Phayao and Chiang Rai to Mae Sai which is geographically the most northern town of Thailand on the border to Myanmar. The two countries are connected by a bridge over the Mae Sai River, which allows a lively cross border traffic between the Thais and Myanmar. Ascend to the hilltop viewpoint to see the famous “Golden Triangle” of Southeast Asia - meeting point of the borders of Thailand, Myanmar and Laos. Savor a locally prepared lunch in a nearby farming village. Continue to the dramatic Hall of Opium at Golden Trian gle Park, offering an informative exhibition on the history of opium which dates back almost 5000 years. Enjoy your free day to explore Chiang Rai at your own leisure, or you may join in the op- tional excursion to 3 hilltribe villages and Wat Rong Khun (£50). Take this rare opportunity to visit the three hilltribe villages - Karen Hilltribes (Long Neck people), Akha hilltribe and Yao hilltribe and to see their unique way of life and learn more about their culture. Go back to Chiang Rai and move on to the majestic Wat Rong Khun – or White Temple – to wrap up your journey. 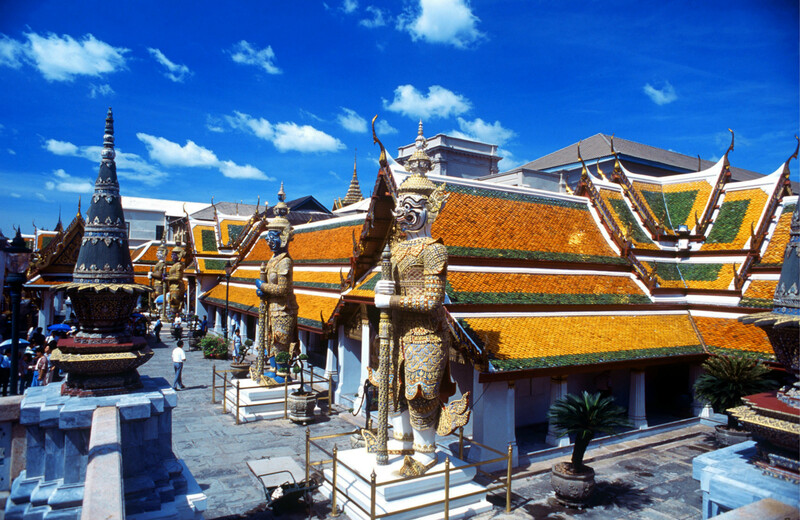 The ornate structure is lime-sculpted, with Thai designs and small mirrors on the outer wall, making the building sparkle under the sunlight. Breakfast at hotel and check-out. On the way to Chiang Mai, drive thru Mae Ka Chan, which is famous for its hot springs. 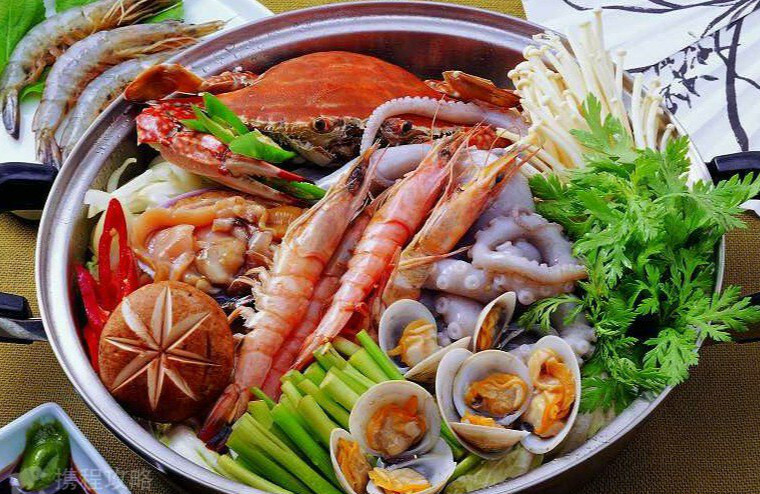 Lunch at a local restaurant, then continue your trip through scenic hillsides and jungles to Chiang Mai, the “Rose of the North“. Visit Sankampang Street, center of handicrafts, for on-site demonstrations on how the silk, lacquer, silver, wood and bronze wares are made before check-in at your hotel in Chiang Mai. Enjoy the rest of the day at your own leisure. Breakfast at hotel. This morning, visit the most sacred temple in the North of Thailand: Wat Phrathat Doi Suthep is the most sacred temple in Chiang Mai and contains a holy relic of the Lord Buddha. Drive back down to the city centre to visit Wat Suan Dok, which dates back to the 14th century when the Thai monarchy was taking leisure walks in its gardens. Nowadays, it houses several white Chedis, all containing the ashes of Chiang Mai’s former Royal family, and features one of the most famous Monk Schools in the whole locality of Chiang Mai. 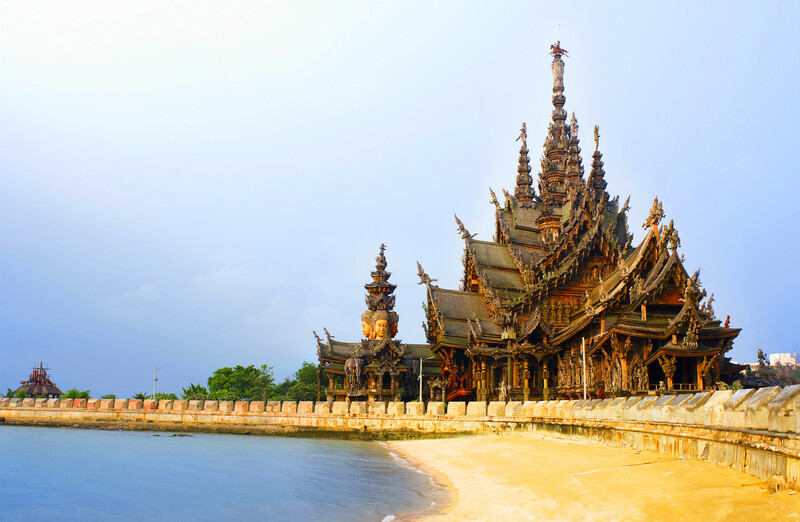 We will also visit Wat Jedyod, also known as The Temple of Seven Spires. Enjoy the afternoon at your own leisure, and tonight, experience the simple Lanna way of life with dinner hosted by a local family. You will also have the opportunity to join the cooking for your meal. Your evening meal will be served on the second oor terrace of the home of Raunkaew-yanon family from where you will enjoy the panoramic view of this Lanna village.This tour is designed to give you a real experience and understanding of Lanna life, the traditions and buildings, the relationship between their religions and ancestor and the way this all works together with nature. Enjoy the free day at your own leisure or join the Elephant Kingdom Tour (£55). This morning, travel northwest through an area famous for its waterfalls and scenic views, to visit “Elephant Kingdom”, an educational Elephant Camp Program. Here, see elephants bathing in the running streams, attend a lecture on the Thai Elephant, and learn how the mahout train and command these majestic animals. You may also be able to give the elephants bananas and sugar cane, two of their favorite treats. Travel to an Orchid & Butterfly farm in the north of Mae Rim area and savor a buffet style lunch. Afterwards, explore the gardens of orchids and visit the butterfly farm. At the end of the day, pamper yourself with an optional Thai massage(£50). This morning, transfer to the airport for the ight to Shanghai via Bangkok. Transfer to the hotel and free at leisure for the rest of the day. In the morning, tour Shanghai Museum, to see ancient Chinese art, furniture and jade, followed by a visit to an Emerald exhibition center. Then visit the City God Temple Bazaar, which is composed of specialty stores, selling traditional Chinese arts and crafts, medicine and souvenirs. Followed by a walk along the famous Bund, a mile-long stretch along the Huangpu River. It is the best place to capture the western in uences of the old days. In the evening, you may join the Huangpu river night cruise optional tour (£50). Breakfast at the hotel. Check out and transfer to the airport. Fly back home or to your next destination! This morning, transfer to the airport for the flight to Siem Reap, gateway to the Angkor temples; arrival and transfer to your hotel. Later, walk through the city’s center with its variety of shops, cafes, restaurants and local merchants o ering handmade silk goods and the famous Cambodian puppets. This evening, enjoy a typical Cambodian dinner and a traditional Apsara show. Today, you’ll understand why the architectural masterpieces of Angkor Thom and Angkor Wat, are designated as one of the “Seven Wonders of the World”. On the visit to the fortified city of Angkor Thom visit the Elephants Terrace and Terrace of the Leper King, all adorned with dramatic bas-reliefs. Continue to the mysterious Bayon Temple, highlight of Angkor Thom, replete with beautifully preserved bas-reliefs and more than 172 giant smiling stone faces. On to the monuments of Ta Keo, Prasat Kravan and Srah Srang before arriving at Ta Prohm, where the jungle was left untouched, as it appeared to European explorers. The highpoint of the day is the vis- it to stunning Angkor Wat, a temple dedicated to the Hindu god Vishnu. World-famous for its beauty and splendor, Angkor Wat has the longest con- tinuous bas-relief in the world, which runs along the entire outer gallery walls, narrating stories from Hindu mythology. Stay to experience the unforgettable sunset - a view that cannot be compared to anything you have ever seen! This morning, drive along the rolling verdant hills of the farm lands, stopping for a ride on an ox-cart, the vehicle still being used today by local farmers. 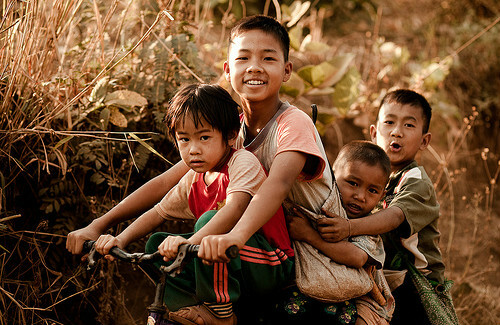 Arrive at Tonle Sap Lake in the heart of Cambodia, with its rich and diverse ecosystem. Embark on a serene boat excursion - observe the local life unfolding and the oating shing villages that dot the shoreline. Later, visit to the National Museum with its multi-media exhibits depicting the Golden Era of the Khmer Kingdom. Depart Siem Reap tonight to Shanghai(23:00 flight). Transfer to the hotel and have a good rest. In the morning, tour Shanghai Museum, to see ancient Chinese art, furniture and jade, followed by a visit to an Emerald exhibition center. Then visit the City God Temple Bazaar, which is composed of specialty stores, selling traditional Chinese arts and crafts, medicine and souvenirs. Followed by a walk along the famous Bund, a mile-long stretch along the Huangpu River. It is the best place to capture the western in uences of the old days. In the evening, you may join the Huangpu river night cruise optional tour(£40). £350/pp Taxes and fuel surcharges apply to all guests. Chinese Visa Application fee multiple entries : GBP £180/person. Depart Chiang Mai and transfer to Bangkok airport for ight to Phuket. Thailand ́s largest island of Phuket, is situated o the west coast of Thai- land in the Andaman Sea. This fun island provides an unbeatable combi- nation of perfect silky soft white palm-lined beaches, superb hospitality, along with rich and colorful history. After arrival, this afternoon is yours to relax. Full day at leisure to explore Phuket independently. Spend time in Patong, the island’s center where there is always a “happening” on its busy beach. Watch the trendsetters coming in droves to the many restaurants, bou- tiques and luxurious spas. Or, join the optional excursion Phang Nga Bay - James Bond Island Tour with lunch(£75). Today is yours to just relax, rejuvenate and enjoy the beautiful surround- ings. There is plenty to do and much to see in Phuket, including the Aquarium, Butter y and Orchid Gardens and the Thai Village. Or, travel by speedboat on the optional full day excursion to the magni cent Phi Phi Islands(£85). 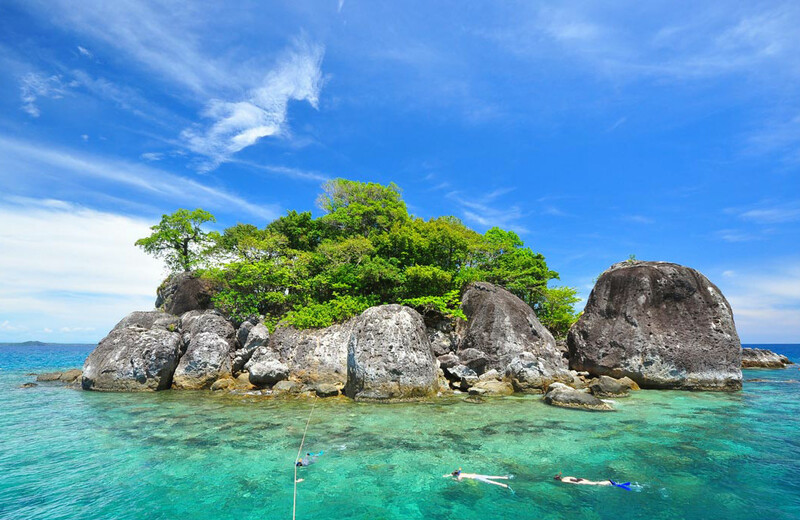 There’ll be time to snorkel in the crystal-clear wa- ters, watch the fantastic colorful marine life or feed the monkeys at Mon- key Beach. 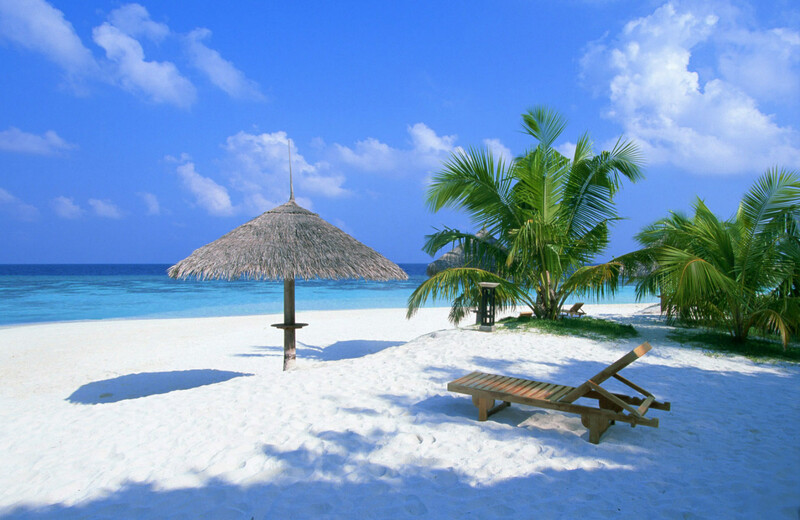 Enjoy swimming, sunbathing or just people-watching on the beach before returning to your hotel. Explore Phuket on your own today. Then transfer to the airport and y back to your next destination. Available from most hotels. Check rates, hotels often levy a surcharge. Costs vary with the time of day and charge for a minimum of 1 minute) Dial 100 for Operator-Assisted Overseas. For IDD dial 0044 followed by country and regional codes.